Look for books at the Camarillo Public Library or in our digital collection. Feeling stumped? Read a great book and want more like it? Need a particular genre for a school report? This is the place for you! These lists have suggested book titles that can be found in the YA section of the library. 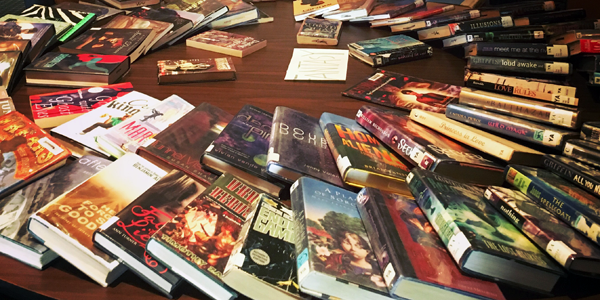 These were created by the teen librarian, just for you! Full of reviews, suggested reading lists and what’s popular right now! Read-a-likes and book suggestions for all ages. California Department of Education Recommended Literature List for students in grades prekindergarten through twelve. Which book comes when in your favorite series? This database contains over 36,000 books in 4,900 series titles. This award is given to a book that exemplifies literary excellence in young adult literature. First awarded in 2009, this award honors a debut book published by a first-time author writing for teens and celebrating impressive new voices in young adult literature. This award honors an author, as well as a specific body of his or her work, for significant and lasting contribution to young adult literature. Given to ten books written for adults that have special appeal to young adults, ages 12 through 18.